The 2017 Honda Fit is designed to fulfill the needs of drivers from Elgin and Crystal Lake who value smart space and exceptional efficiency. The Honda Fit EX trim level improves upon many aspects of the base model, and it provides many upscale features at an affordable price. Find out more about the EX here at Brilliance Honda of Crystal Lake. The new Fit EX comes standard with a 1.5L four-cylinder engine that produces 130 hp. The Fit EX is sold with either a six-speed manual transmission which rates at 29 mpg city/36 mpg highway* in EPA estimates, or a continuously variable transmission that achieves up to 32 mpg city/37 mpg highway in EPA ratings*. Of course, it also gets the other convenient features that are included in the base LX model. Some highlights include the Magic Seat, which allows you to split and fold the rear seating to meet your cargo or passenger needs, and a multi-angle rear camera that makes parking and reversing the Fit easier than ever. In a small car like the Fit, advanced safety features are important. That’s why every Honda Fit is equipped with a wide variety of safety systems. You get multiple airbags, adjustable head restraints, and the rearview camera mentioned above. 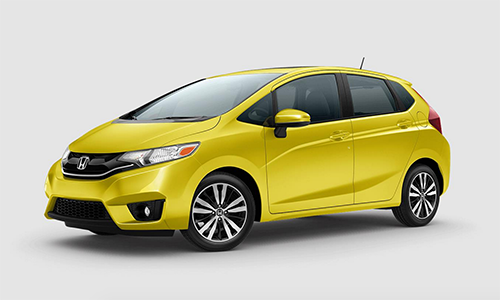 The Fit also offers daytime running lamps, anti-lock brakes, traction and stability control, and more. The 2017 Honda Fit is in stock now here at your local Elgin area Honda dealership, Brilliance Honda of Crystal Lake. Visit our showroom at 680 W. Terra Cotta Ave. to get behind the wheel of the latest Honda Fit and see if it fits your needs and your budget today!